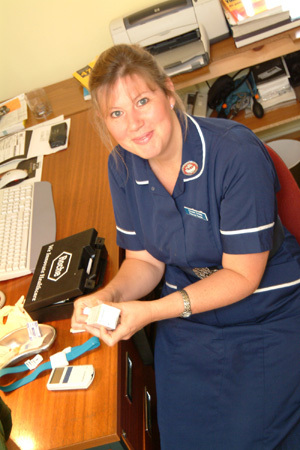 Run by nurses who our specially trained Asthma & COPD nurses. The emphasis is on monitoring treatment, continuing education and advising on self management, including recognising when your asthma/COPD is getting worse and what you should do in that situation. Clinics run by by nurses to monitor, advise and support patients who have heart disease or who have had a stroke and those who are at risk. Clinics run by specially trained nurses. The clinic aims to promote a better understanding of diabetes, encourage self management, educate and help monitor your diabetes with a view to preventing the long-term complications of diabetes that include blindness, kidney failure, foot ulcers and amputations. Every Monday morning at Fressingfield, run by a Midwife attached to our practice. You can ring the practice to make an appointment. Our trained cervical smear Nurses are happy to carry out your cervical smears during normal surgery hours at a time and surgery that is convenient for you. Please let the Receptionist know when you book your appointment that it is for a cervical smear. Available each year to all patients aged 75 years and over - who are not seen in any of our other chronic disease clinics. 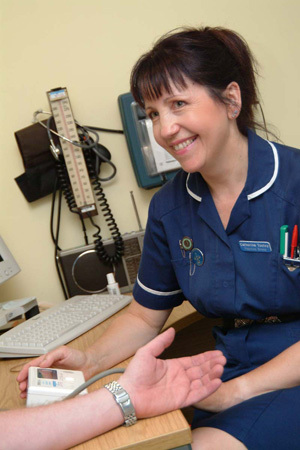 Its aim is to help monitor ongoing care and individual needs. An invitation will be sent for an annual check around your birthday. Run by our attached Health Visitors. This is an open access session (no appointments required) for all parents with babies and young children to meet together, have their babies weighed and obtain practical help and advice from the Health visitors on all matters relating to their children. All the doctors perform minor surgery procedures at both Fressingfield or Stradbroke. You should arrange a time and place for your treatment with the Doctor who is going to carry it out. We offer cryosurgery for the treatment of warts and verrucas and other skin conditions. We are unable to carry out certain minor surgical procedures which are considered cosmetic only. This clinic aims to encourage a more effective approach to giving up smoking. You can contact us for an appointment at the Fressingfield or Stradbroke Surgery or be referred by the doctors or nurses. An initial assessment at the first visit provides advice and a choice of nicotine withdrawal medication, if appropriate, and then encouragement and support at follow up sessions, using a Carbon Monoxide monitor to reinforce abstinence from smoking. The doctor can refer you for counselling/cognitive behavioural therapy (CBT). The CCG is responsible for the delivery of this service to our patients. We hold 'Seasonal Flu Clinics' each year starting in October. We realise that it is sometimes difficult for patients to attend the flu clinics, but it is much easier for us to manage the flu vaccination campaign if patients do attend the clinics rather than making individual appointments. We publish the flu clinic details in the Stradbroke Monthly, Five Alive, Laxfield Newsletter, Village Voice, Athelington, Horham & Redlingfield News & Cratfield News. If you know of any other publication that you would like us to advertise the details in, then please let us know. The details are also published on this website, and are available from the practice from late August. Unfortunately, we are unable to send out individual letters due to the cost. Those who are in receipt of carer’s allowance, or those who are the carer of an older, disabled or Immunosuppressed person whose welfare may be at risk if the carer falls ill.
Children aged two, three & four years, but not yet five by 1st September. Have you ever had a reaction to a previous flu vaccination? Are you feeling unwell or do you have a raised temperature? Are you allergic to hens' eggs or antibiotics? Are you trying for a baby, pregnant or breast-feeding? A few people get a slight temperature and aching muscles for a couple of days. Your arm may feel a bit sore where it is injected and you may experience some redness and swelling at the site of the injection. Any other reactions are much less common. This clinic is run by our nurses. You will receive a letter when your child's immunisations are due. Please make sure you bring your child’s Red Book and invitation when attending for all immunisations. These can be arranged with our Practice nurses and carried out during their clinic sessions. It is essential to organise them well in advance of your departure date. The reason for this is that to achieve maximum protection against the various infectious diseases that you might contract abroad, the vaccines have to be given as courses and in a particular order and time is required to carry this out effectively. We need to know where you are going and for how long, other countries you may be travelling through, whether you are pregnant and if you’ve had an adverse reaction to any vaccine previously. The same applies to malaria protection. We use TRAVAX, approved software that provides up to date information about all vaccination and Malaria requirements. If you are travelling outside Europe for more than a month, this is known as a complicated travel schedule, we may be able to provide some of your vaccines but you may need to seek the advice of a Travel Clinic initially. The Nurse will inform you if some of the travel vaccinations you require are chargeable, you will need to make payment prior to receiving these vaccinations.